This is brilliant and introspective. The author guides you and teaches you to become a better reader and develop better understanding of self. The stories themselves are worth reading. A great diagnoses for our cultural sickness.This is one of the best quotes:"if the fires that innately burn inside youth are not intentionally and lovingly added to the heart of the community, then they will burn down the structures of culture just to feel the warmth" This is a good follow up to Joseph Campbell's Hero with a Thousand Faces. This book uses ancient myths as vessels to share perspectives on initiations for men in our modern-day culture and weaves in stories from the author's own life and from the retreats he has held. The story analysis can be long and cumbersome at times, but it is worth reading through to the end. 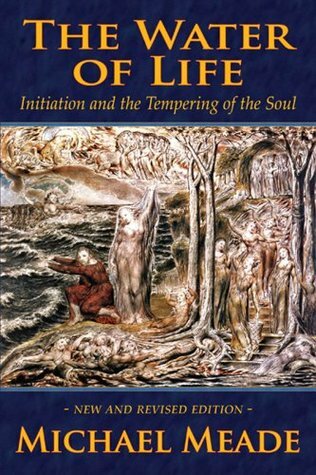 Meade writes from a passion for and understanding of the needs of the masculine soul in American culture, and the wisdom of long experience seeps through in every page. Takes old folk tales (African and Celtic) and uses them to illustrate the rites of passage adolescents (especially boys) must go through. "We find our true self by becoming lost."